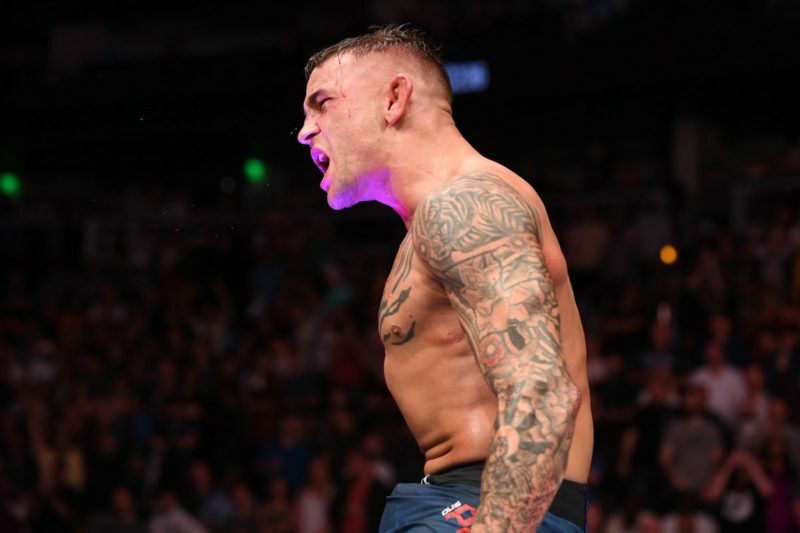 In the dangerous chess game that is mixed martial arts, lacking in one department in your arsenal can mean certain doom, particularly when a fighter reaches the upper echelons of their division. Sure, you can excel at one particular discipline, but if your other skills aren’t backed by some solid fundamentals then you could quickly find yourself in some serious trouble when facing the best of the best. Henry Cejudo had to learn that lesson the hard way. When he first faced off with Demetrious Johnson, we saw a Henry Cejudo who had a world class wrestling base with some decent striking fundamentals. 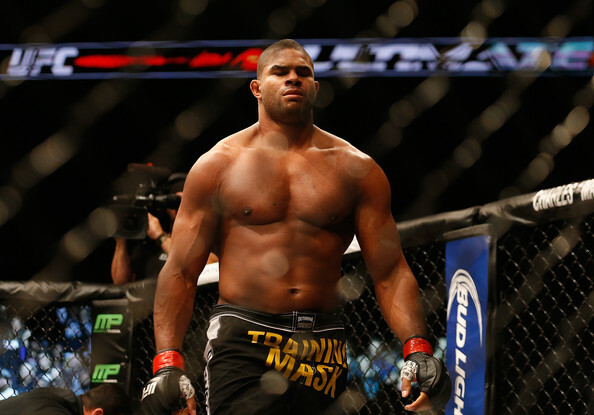 The unfortunate thing for the Olympic gold medalist was that he was dealing with a beast who had a far better understanding of range and options inside the clinch. With that in mind, Cejudo was able to get a takedown in the fight, though he wasn’t able to hold down Johnson for long. The biggest issue for Henry Cejudo is similar to what most wrestling-based fighters face. Wrestling-based fighters usually do well exploding forward into their strikes and takedowns. They aren’t exactly the greatest when moving backwards. Cejudo took the old school boxer-wrestler approach to his style in the earlier portion of his career. Since his loss to the champion, Cejudo has made a major shift in his striking approach. In his last two fights, we’ve seen a drastic improvement in Cejudo’s striking primarily because of his inclusion of Shotokan Karate into his training. Rather than exploding into every strike, Cejudo has learned to play more of an in-and-out game. 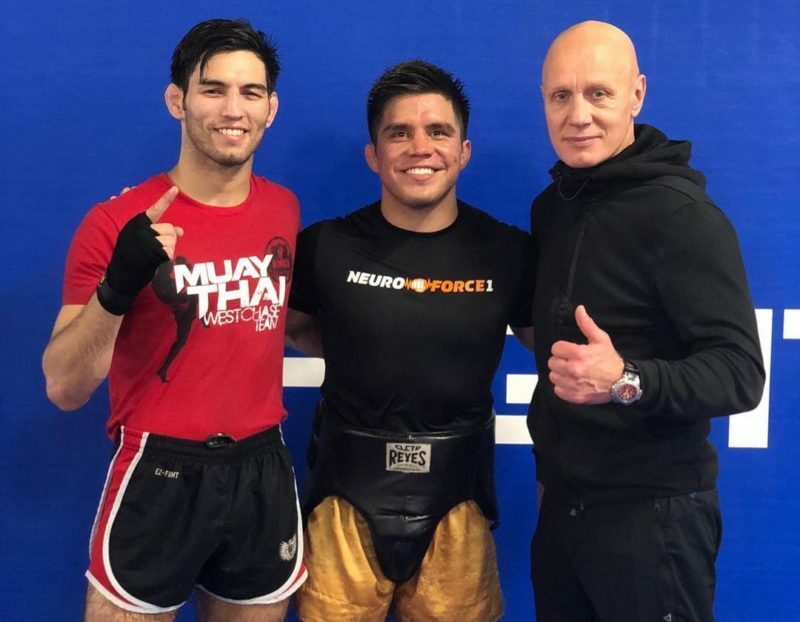 Where Cejudo used to exclusively train in Boxing and Muay Thai, Karate has allowed “The Messenger” to use more balanced, well-placed footwork to set up traps for his opponents. The prime example of this was when he fought Wilson Reis showcasing great sight and awareness to set a trap for the dangerous Alliance MMA product. Gone were the days where Cejudo just backed away passively simply to retreat. What we saw instead was a fighter that gave up space in order to counter his opponent coming in. We saw a fighter who used his eyes to settle on the perfect moment to strike. 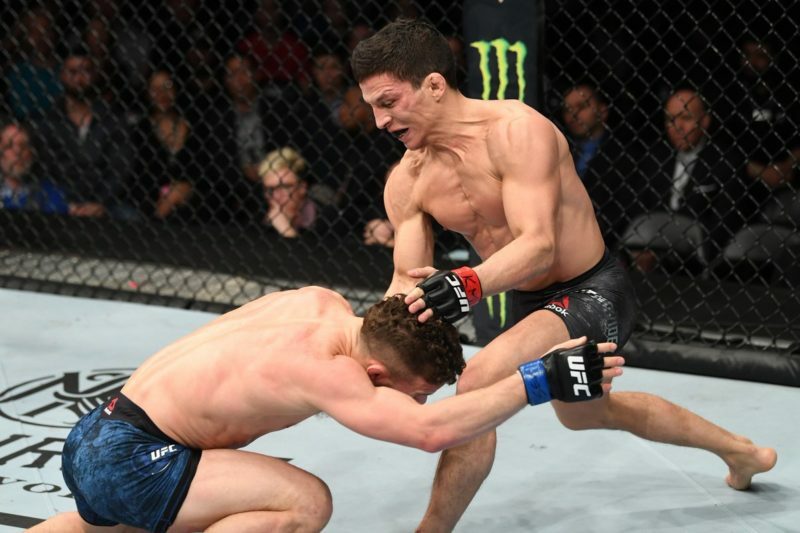 Quite frankly we saw Henry Cejudo 2.0 and it was a pleasure to watch. Not only did he develop great awareness moving backwards, but Cejudo also had better shot placement in his bout with Reis, going to the body and the head with little telegraph, fast and powerful. 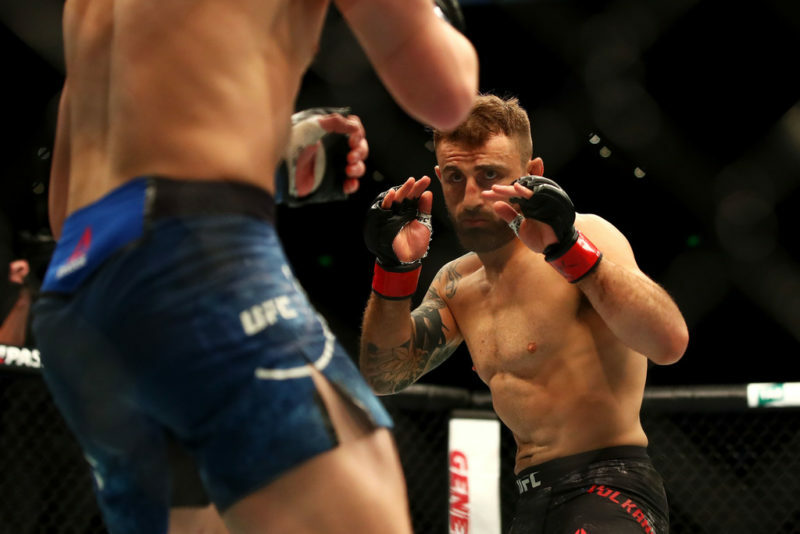 He did well to use his front hand to trap Reis’ right hand, ensuring that he was able to gauge just how far away his opponent was before they rushed in for an attack. Cejudo used patience and that explosive ability to zero in on a perfect opening when Reis chased him down. 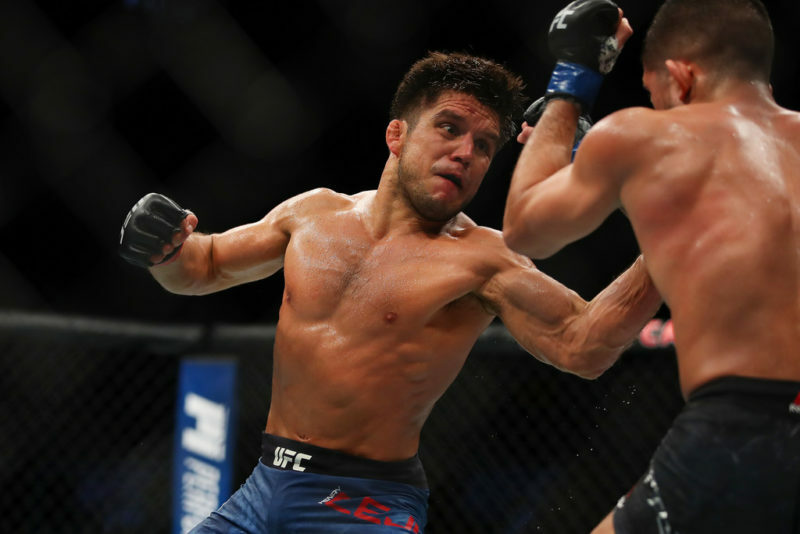 Henry Cejudo needed to take those losses to Demetrious Johnson and Joseph Benavidez to understand something very fundamental: aggression and big power can only get you so far. 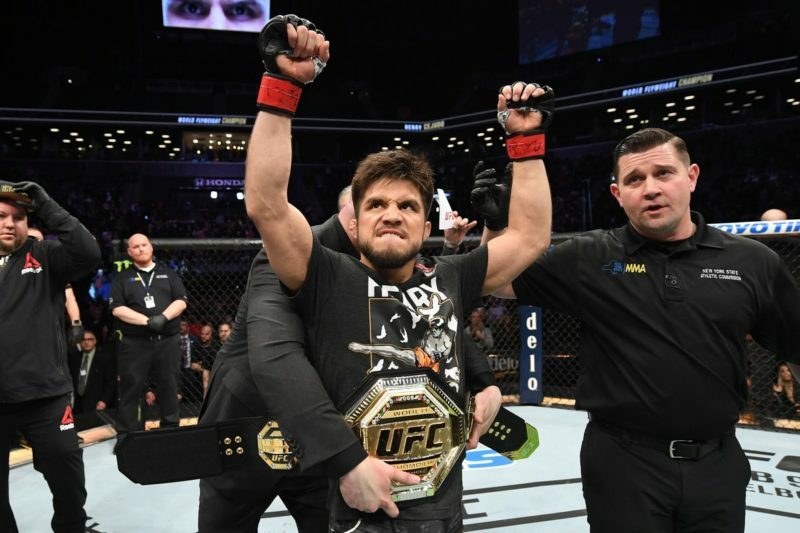 The transformative effect on Cejudo has been astounding to watch, becoming even more dangerous in his striking by understanding that distance management and traps are the ultimate keys to success in MMA. Employing his new karate footwork has forced opponents to figure out how to close the distance before beginning an offensive salvo of their own effectively making them freeze. This leaves Cejudo free to either sit back and counter or pressure forward. This distance control and spacing allows for great counter straight right hands (gyaku zuki in karate) as well as counter knees and wrestling opportunities. His new approach also allows for beautiful adaptations on the fly. After hitting Wilson Reis with a series of right hands, Cejudo had the wherewithal to hide a high rear round kick after faking the cross. There was also a bit of broken rhythm in the attack that ultimately finished off Reis. 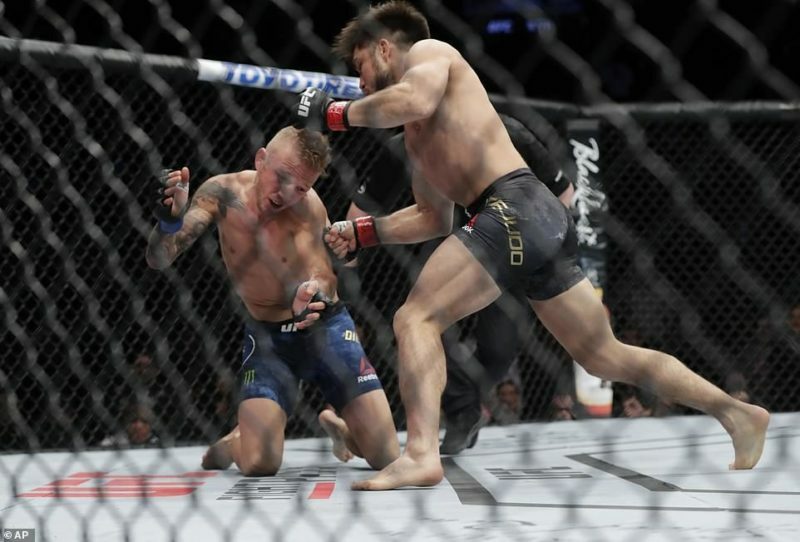 Rather than rushing forward and telegraph with a big explosion, Cejudo circled away, added a small bounce to keep Reis guessing, then fired off a perfect right straight that closed the show. That bouncing karate footwork, coupled with his newfound countering skills, makes the entries to his takedowns all the more seamless. Cejudo prefers the single leg takedown to the double, but make no mistake, this is a true master of the wrestling game and you can bet he’s practised multiple entries from his new explosive and diverse karate stance. Most of all we’ve seen an improved fight IQ from Cejudo. Rather than look to strike at every opportunity, Cejudo has wrestled the striker in Pettis and struck with the grappler in Reis. If Henry Cejudo continues to improve at this rate, who knows how far he will go. For more breakdowns and everything martial arts related, follow Jonathan on Instagram, Facebook, and Twitter.